You say good-bye, I say hello. I know I wrote up that blog post about my decision to never again stick to a blogging schedule. But I still feel like I owe you guys an apology for disappearing for 4 whole months. I guess that, even though I knew that my interest in blogging here was waning, I still believed that I would pop by every so often—if only to share my booktube videos with you guys. (Which, incidentally, I’ve also neglected in making. Ha.) But I didn’t. And now I feel bad—sort of—for the extended radio silence. I also filmed a video—by function a recap of my 2014 reads. You can watch it below. Back to the pulling the plug business—I don’t see myself giving up on blogging IN ITS ENTIRETY. As much as I am drawing more these days than putting words to paper—literally or otherwise—I enjoy this process too much to give it up. I’m actually thinking about moving operations to Tumblr, a platform that I’ve come to love very much. (I should have done the move years ago. The only reason why I stayed on WordPress was because I had at some point wanted to blog professionally. Oh, youthful me.) If I do end up moving, I’ll let you know. Otherwise, I guess this is goodbye? Yes, goodbye. I need to be firm about this. No more going back and forth. We’ve had an interesting run, WP. Thanks for the memories. Posted on March 24, 2015 March 24, 2015 Categories BookLeave a comment on You say good-bye, I say hello. So, I’m doing Nanowrimo again this year! But instead of writing a text novel, I’m doing something unorthodox—creating a comic book. (Hey, they’re marketed as “graphic novels” at B&N, right?) This is my first ever dabble in creating sequential art, and yeah there was tons of trepidation last month and mutterings of holy mother of pizza, Jen, what are you doing? under my breath. But I’m four days in, and both surprised and relieved to report that so far, it’s been really, really fun. Anyone else doing Nanowrimo? And NOT doing a traditional novel? I’m curious. Posted on November 4, 2014 November 4, 2014 Categories Nanowrimo Survival Guide1 Comment on Nanowrimo! Right. About that reading project I embarked upon this past summer. As far as numbers are concerned, the reading project was a major success. Out of the 13 books on the TBR, I finished 9. Which is a HUGE deal for me, because I usually fail at these sorts of readathon stuff. #LARMonth, last year’s Banned Books Week… Granted, food poisoning isn’t something you can really control, but point is I sucked at readathons. But this time I managed to get a good chunk of my reading done, and it felt really good to accomplish that. Other than that, though, the readathon was a fail. And I say that because the books that I read either bored me to tears, or else left me feeling frustratingly indifferent. The only two exceptions were Alex London’s Proxy—a PHENOMENAL book, you guys—and Mary Shelley’s Frankenstein. I made a video back in August, in which I share my thoughts on the individual titles. You’re welcome to watch it below, and subscribe to my booktube channel—although fair warning, I am not entirely sure if I will continue with it. I really like the booktube community, but I’ve realized that I’m not the most eloquent or charismatic person when a camera is shoved into my face. Or when I know that I’m being recorded. (This is probably why I often forget to breathe and do these awkward mid-sentence gasps when I leave voice mails.) Perhaps it’s only a matter of practice. But then there’s the problem of adequate lighting—I live in a cave, you guys—and background noise and I still haven’t yet told my roommates about my videos and … yeah. In any case, that’s my summer reading experience for you. I hope you guys had a much more enjoyable one! Spilled milk aside, I do want to at least TRY to talk about literary censorship within the United States. As fun as it is to stick it to the book-haters revel in the mass enthusiasm that the book community is generating over this annual event, I think it’s important to understand WHY this event is happening. And I want to explain why I choose to participate. But it’s already past midnight where I’m at, and while I’m not exactly Cinderella I need some semblance of a full night’s sleep if I’m to be expect to be a functioning human tomorrow morning. So I will leave aforementioned dream post to another day. Hopefully a day that happens to fall within this week. In the meantime, I want to wish all of my fellow Stateside bookworms a very, very happy Banned Books Week! P. S. – What are you guys reading for Banned Books Week? 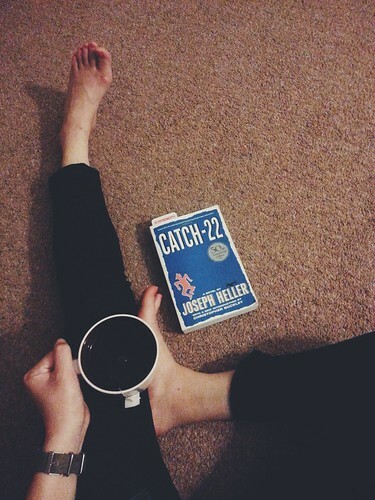 I’ll be reading Joseph Heller’s classic, Catch-22. Posted on September 22, 2014 September 22, 2014 Categories Banned Books WeekTags Classics, joseph heller, NovelsLeave a comment on Happy Banned Books Week! I finished all three books, and I think I could have actually squeezed in a fourth had I not gotten completely sidetracked by Clockwork Prince and Clockwork Princess. (Both of which were purchased copies, so I couldn’t count them towards the readathon.) The first couple days of the readathon were a bit slow. I was visiting family that weekend, and so most of my time was spent doing stuff with them. I did manage to squeeze in a few hours of reading, though, and by Day 3 I finished my first book, City of Bones by Cassandra Clare. I’m planning on doing a standalone review of the book soon, so I’ll go more into detail about what I thought about the book then. But for now, I’ll just say that it was exciting, and very action-packed. Narrative-wise, it wasn’t as polished as Clare’s subsequent books in The Infernal Devices. The prose in City of Bones was rather choppy, and veered on cheesy at times. And the drama, while catalyzing, was a little much for me. (Dare I say, soapy?) But the book was enjoyable. 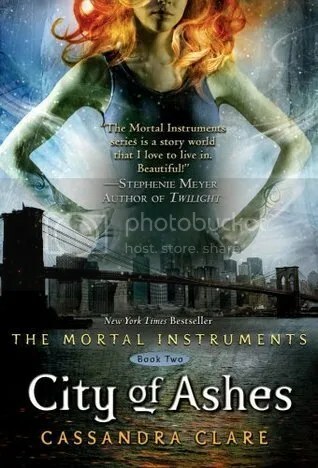 I followed with City of Ashes, which is the next book in Clare’s The Mortal Instruments series. The main story arc progresses, but at a much slower pace than I thought was necessary. Also, the romantic drama at this point got more irritating, and I was pretty certain that Clare only included certain scenes to artificially propel the angst. By the end of the book, I was wondering why Clare decided to stretch out the series into six installments. I feel she could have condensed the story into a trilogy, and the series would have been better for it. But we’ll see. Maybe there’s some plot twist in City of Glass that requires an additional three books to resolve. I finished the readathon on a much different note—a historical mystery called The Hangman’s Daughter. I didn’t get to finish it in time—dang it, The Infernal Devices!—but I had a lot of fun reading it. The central mystery was fascinating, and it kept me guessing all the way to the very end. There’s elements of spookiness to the story—like man with the skeleton hand—that made me wish I had saved this book for Halloween. I really liked the titular hangman, Jakob Kuisl, and his spirited daughter Magdalena. I like that Jakob was a compassionate man, shrewd and intelligent, and incredibly progressive for his time. (17th Century Germany, where witch hunts were still in vogue.) He insisted that Magdalena be taught to read and write, and is himself very well-read. His friendship with the physician’s son, Simon, was also one of my favorite things about the book. (Also, I’m just tickled by Simon’s fascination and love for coffee, which at the time was considered an exotic drink in Germany, and not entirely orthodox.) The author has so far penned three follow-ups to this book, and I am eager to read them all. Overall, the readathon was a BLAST. I had so much fun, and in part it’s thanks to YOU guys who read a long with me. You guys definitely made the experience all the more enjoyable, and I hope you guys had fun as well! I’m hoping to do the readathon again next year. The one thing I want to do differently is to also include daily challenges or activities, along the lines of Booktubeathon. I think it would make the experience all the more fun and interactive. But otherwise, same time, same theme. See you guys there? Okay, so my TBR didn’t turn out the way I had expected. (For one thing, I was envisioning a higher stack of books.) But roll with the punches, as it were. And anyway, there’s still time for one more library visit, so who knows. I may be able to find a couple more titles to read. In any case, this is my TBR. In all its diminutive glory. 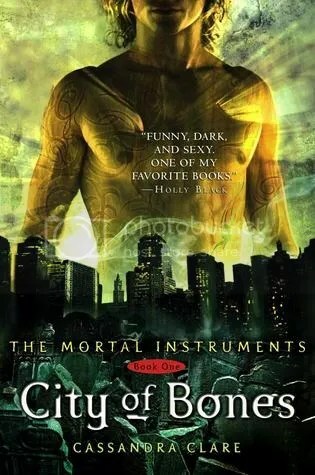 In all seriousness, though, I’m excited to start The Mortal Instruments series. I’m seriously hooked on The Infernal Devices, and am looking forward to seeing the world of Shadowhunters and Downworlders translate into a contemporary setting. 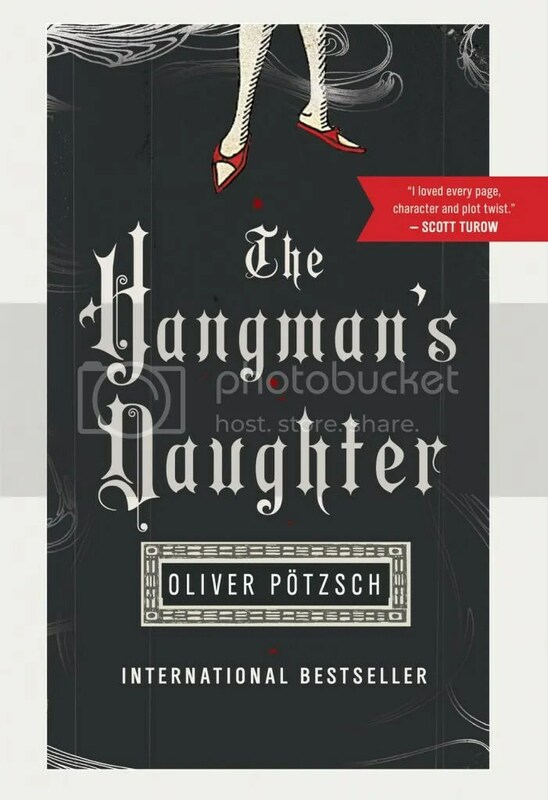 As for The Hangman’s Daughter—I actually didn’t know much about the book until I looked it up, like, a few minutes ago. From what I’ve gathered, it’s a historical thriller that follows a family of professional executioners in 17th Century Germany. A murder happens, a witch-hunt is involved. And somehow, the aforementioned family is called upon to find the killer. Pretty interesting stuff. So yeah. That’s it. If you guys are planning to do #BBSReads with me, let me know! I’d love to hear what books you have on your TBRs. Happy Friday, and happy reading! It was Super Sushi Pizza that got me thinking about this in the first place. Weeks ago, I came across her video in which she announced that she was leaving GoodReads, citing the company’s acquisition by Amazon as one of her reasons. While I had at that point been aware of Amazon’s takeover, it struck me as weird that I had never paused to think about what I would do in response. I was—and still am—in a tangled, love-hate relationship with the retailing behemoth. As a paying Prime customer, I love love love the free and snappy shipping. I also love their consistently low prices on stuff, especially books, music, DVDs … the things that often make up my wish list. My family does too, which is why I choose to renew my Prime membership year after year. At the same time, though, I was aware of how Amazon made all of that possible—whispers about poorly-treated warehouse workers, unpaid wages, and the bullying tactics towards publishers, brought to light in the recent and still on-going dispute between the retailer and Hachette. Weirdly, I didn’t bat an eye over it. But that all changed when I watched Susheela’s video. I don’t know why. Maybe I just needed to see someone do something. Maybe I needed to hear someone talk about it in neat, concrete terms. Maybe it was the proverbial straw in the long line of big company takeovers that have been dominating the news—Comcast, Google, the whole thing with Net Neutrality. I don’t know. In any case, something in me clicked, and I knew I wanted to do something too. While I will still continue to use GoodReads—I just love the platform too much—I have decided to take my book-buying business elsewhere. Thanks to the booktube community, I’ve discovered a fair number of alternative retailers that can help me with my bookish needs. And I thought I would share them with you—if only to expand your purchasing options. Barnes & Noble – The irony in supporting them has not been lost to me. Back when the turf war du jour was Big Books vs. indie shops, I was staunchly in favor of the the latter. Now B&N has become the underdog, and I’m seriously hoping that they don’t follow in the footsteps of my much-beloved Borders. Of all the alternatives, B&N is I think the only one to offer what I liked best about Amazon—the discounts and speedy shipping. Free shipping is available for purchases over $25, unless you’re a B&N member, in which case shipping is FREE. Edit 1:42pm – Bethany reminded me of B&N’s partnership with Google Express, to bring same-day delivery to Manhattan, West LA, and the Bay Area. Nifty! But I don’t see myself using it short of an absolute emergency. (Because really, do you actually NEED something delivered NOW?) NYT has a good article about the partnership. BookOutlet.com – A very new-to-me discovery from Canada, thanks to Sophia from thebookbasement. I really like their business model—purchasing returns and excess inventory directly from publishers, and selling them at a fraction of the retail price. The books are practically new, save for a small dot or mark from the publishers. AND THEY’RE CHEAP YOU GUYS. It’s really quite lovely. Shipping is pricey, alas, and selection is limited. But keep them in mind if you’re down for a bargain hunt. Half.com – One of my old favorites, discovered during my college days. (Like heck I was going to pay exorbitant prices for school books!) It’s a secondhand market—for books as well as DVDs and CDs—in varying conditions of use. Shipping is done pretty exclusively thru USPS media mail. ($3.49, last time I checked.) But most things are so cheap, they offset the shipping cost. Powells.com – This legendary Portand bookstore, I recently discovered, avails their unique mix of new & used titles to online patrons as well! Shipping starts at a flat rate of $3.99, with FREE shipping for orders over $50. Your local independent bookstore!! – At this point, any legitimate book retailer who isn’t Amazon is in my good graces. But I will always have a soft spot for local indie bookstores. Or rather, indie businesses in general. (I point the finger at You’ve Got Mail. And the fact that my family’s bread and butter came from running our family restaurant since before I was born.) Online shopping is amazing, and I probably won’t be stopping that anytime soon. But nothing replaces the sense of community that brick & mortar bookstores offer. Much more those that are run by the folks next door who are probably in the business because they are passionate about books. Which is why I make it a point to purchase from my local bookshops as frequently as I can. Nowadays, most indie bookstores are equipped to ship online orders, so even if you can’t stop by yourself you can still support them by ordering from their website. The downside to indie shops is their limited discounts and sales. But considering what their stores offer me and their neighborhoods, I’ll gladly pay full price if it means that they can stay with us for another month. If you don’t know where to find your nearest indie dig, IndieBound is a good place to start. Just plug your zip code into their handy locator, and presto! Your local library! – Obviously, you can’t buy books from libraries. (Unless they hold library sales. In which case, scooooore!) But I think they’re worth keeping in mind, esp. for books that you want to read but don’t feel committed to shelling out money for. ** If you’re wondering why I didn’t list Book Depository, it’s because they are an Amazon acquisition. Have been, since 2011. While BD continues to operate independently, their profits funnel back to their parent company. It’s quite sad, really. And ironic. BD was started by an ex-Amazon employee. And they had stood as one of Amazon’s major competitors. So much for that. I’m not here to dictate where you take your money to. But I will strongly encourage you guys to look into the matter yourself, and decide where you stand on it. At the end of the day, Amazon is just another legitimate business with great perks. And there’s nothing inherently wrong with acquisitions, or being a big business, or slashing prices to grow your customer pool. But my gripe—and my reason for shunning them—is the human cost at which all these great perks are made possible. Granted, we aren’t dealing with sweatshops, child labor, slave labor, and the terrible environmental consequences that you find at the dodgy end of fast fashion. But we are dealing with blatant bullying, underpaid employees, and a company that may very well fix itself as the world’s sole book retailer, the way things are going. (Read: monopoly. Read: not a good thing.) Whether we choose to believe it or not, the reality is that we do vote with our money. And I for one am not going to support Amazon. Not until they quit their antics and, at the very least negotiate with Hachette—and all other book publishers—in a professional manner based in good faith. Otherwise, I may just pull out entirely from Amazon. No sense in supporting such a business. Cheap Words – A very lengthy piece from The New Yorker, but an excellent read that is well worth your time. Authors United – This ad ran in last Sunday’s edition of The Los Angeles Times, and features an eyepopping signature list of around 900 authors, all of who have been directly affected by Amazon’s strongarming tactics. Ahem, bullying. Amazon’s War on Hachette is Vintage Jeff Bezos—Controlling, Ruthless, Vicious … and Probably Good for Customers – A piece from the opposing side, arguing that Amazon is only doing what it does best—putting the customer first. I want to clarify—I am no longer purchasing books from Amazon, but am still open to purchasing other things from them, albeit as a last resort. It’s inconsistent, i know, but until I locate alternative retailers for my other purchases, I have to consider Amazon. I’m curious as to where you guys stand on this—if you’re boycotting Amazon or still purchasing from them. Let me know in the comments below. I’d also love to know if you know of any other book retailers that I haven’t mentioned.